The Panama City real estate market has changed dramatically over the last few years and has left several owners in a position of not being able to carry their properties anymore. Many people in this position are turning to short sales to get out from underneath the mounting financial pressure that comes from owing these properties. Simply stated a short sale is when you sell for less than what is owed on the mortgage and the bank accepts the amount. 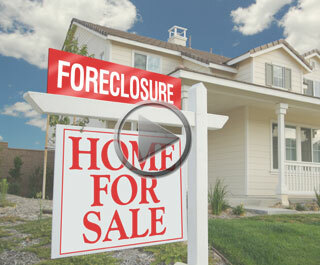 Why would the bank do a short Sale? Well let’s say your financial picture has changed since you bought the property and you are now facing a “financial hardship” that has put you in a position of not being able to make your payments and the possibility of foreclosure is looming. In cases where foreclosure is likely it makes sense for the bank to negotiate a short sale because it is generally costs the bank much less than if they have to take the property back, maintain it while marketing it to a new buyer – all with the possibility of getting less than what was on the table as a short sale. According to HUD – the Dept. of Housing and Urban Development – there are many valid reasons and hardships to be acceptable for default. Here are 5 of them. These are only 5 of the “Acceptable Hardships for Short Sales” and there are many others so if you are considering a short sale and would like more information about acceptable hardships or any other questions relating to short sales simply contact Keller Williams Realty’s At The Beach Team today and we will be happy to help. Interested in buying a short sale? To see all the Panama City Short Sales currently for sale simply click on the link or you can sign up for the Panama City Short Sale Alert and we will email you every time a new Panama City short sale hits the market.